At an event in New Delhi on Wednesday, Lenovo launched two new smartphones the Lenovo K8 and the K8 Plus in India. Both smartphones will be a Flipkart exclusive. Both theses smartphones remind us Lenovo K8 Note which was launched last month and also follows similar specs and features to the Lenovo K8 Note. The Lenovo K8 price is unknown as of now, on the other hand, the Lenovo K8 Plus has been priced at Rs.10,999 for the 3GB RAM variant. There is another 4GB variant of the K8 Plus called the Lenovo K8 Plus Holiday Edition that will be launched by the company during the Diwali season. The Lenovo K8 comes with dual-SIM (Nano-SIM) support and it runs Android 7.1.1 Nougat out of the box. It sports a 5.2-inch HD (720×1280 pixels) display and it is powered by an octa-core MediaTek Helio P20 SoC clocked at up to 2.3GHz, coupled with 3GB of RAM. On the camera front, the K8 sports a single 13-megapixel rear camera with PDAF, dual LED flash, as well as an 8-megapixel front camera coupled with a ‘Party Flash’. The Lenovo K8 comes with 32GB of inbuilt storage, expandable via microSD card (up to 128GB) with a dedicated card slot. Connectivity options include 4G VoLTE, Wi-Fi 802.11ac, Bluetooth v4.2, FM radio, 3.5mm audio jack, GPS/ A-GPS, and Micro-USB with OTG functionality. Sensors on board include an accelerometer, ambient light sensor, digital compass, gyroscope, and proximity sensor. It is also powered by a 4000mAh battery. The Lenovo K8 Plus also comes with dual-SIM (Nano-SIM) support and it runs Android 7.1.1 Nougat out of the box. It sports a 5.2-inch full-HD (1080×1920 pixels) display with Corning Gorilla Glass protection. It is powered by an octa-core MediaTek Helio P25 SoC coupled with 3GB RAM. Talking about the camera, the K8 Plus sports dual camera setup one 13-megapixel Purecel Plus sensor and a second 5-megapixel depth sensor. Users will also be able to adjust the depth in real-time. On the front, it sports an 8-megapixel camera with a ‘Party Flash’, f/2.0 aperture, and an 84-degree wide-angle lens. It sports a fingerprint sensor on the rear panel. The Lenovo K8 Plus comes with 32GB of inbuilt storage, expandable via microSD card (up to 128GB) with a dedicated slot. 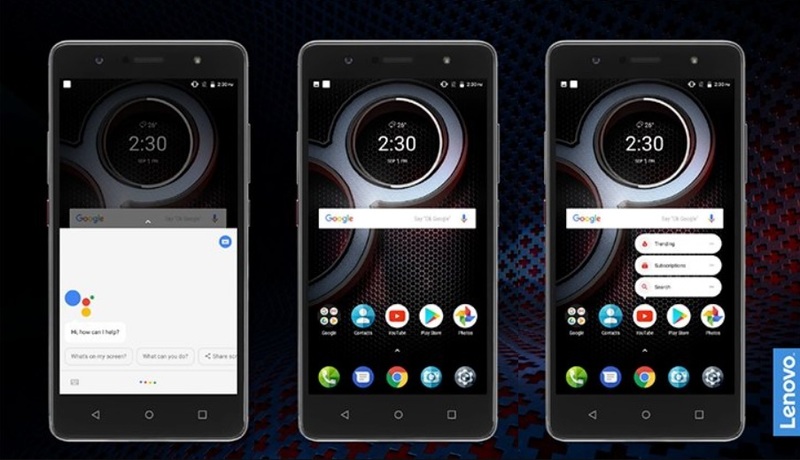 Connectivity options on the Lenovo K8 Plus include 4G VoLTE, Wi-Fi 802.11ac, Bluetooth v4.2, 3.5mm headphone jack, GPS/ A-GPS, FM radio, and a Micro-USB port with OTG functionality. Sensors include an accelerometer, ambient light sensor, digital compass, gyroscope, and proximity sensor. It is powered by a 4000mAh battery. The Lenovo K8 Plus will go on sale from 7th September, exclusively via Flipkart. The K8 is coming to leading retail stores soon. What you think about theses two devices launched by Lenovo? let us know in the comments section down below.